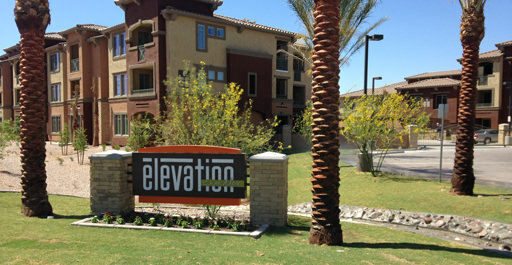 Elevation Chandler is a 163-unit garden community (26 units/acre) that is located near the NWC of Pecos and Dobson in Chandler, Arizona. Jointly developed with Vedura Elevation, the project will offer one and two bedroom units averaging 872 sf. The three story walk-up garden design is intended to imbue the architecture feel of a traditional Mediterranean village, placed within a serene desert oasis while offering a long list of Class A amenities.